An innovative scar diminishing gel that helps soften scar tissue and fade discoloration. 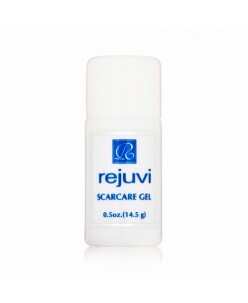 Diminish unsightly scars with Revjui Scarecare Gel, a unique treatment for helping reduce the look and feel of scars. Formulated with potassium iodide and licorice extract, this lightweight gel targets scar tissue to soften and fade darkene..
Goochie Scar Repair Liquid for permanent make up (3ml.X 6) AMINO ACID ANTIAGING MOLD - BF CF EGF Use this product in the wound evenly spread twice, 4 times a day. Wound surface will be restored it continuous use for 15 days. It has special effects for the scar. Quantity: 3ml.X 6 ..